Struggling to get past your skinny-kid genes? Man up and grow! Follow these training and nutrition tips for some hope. You&apos;re thin, you&apos;re lanky, and you burn fuel fast. Any calories you gobble get snatched and torched by your monster metabolism, making weight gain a monumental struggle. Never fear, ectomorph! You&apos;re not an alien; you&apos;re probably a hardgainer. For you, getting big is difficult, but it&apos;s not impossible. You need to follow your own set of "get huge" rules. You need to pour every ounce of energy into building muscle. Your training and nutrition need to harmonize. Nutrition is a musket, training is your bayonet, and more mass is your target. Fire away with these 10 tips, and then stab the target for good measure. Hope you&apos;re hungry, &apos;cuz we&apos;re serving up a giant plate of Hardgainer Helper. Unless you enjoy feeling stuffed to the brim all day, every day, you do not want to include high-volume, low-calorie foods in your diet. They won&apos;t help you reach your target calorie intake. Don&apos;t stuff your stomach with mountains of low-cal carrots; instead, focus on eating calorie-dense foods. To add lean muscle mass, most hardgainers require at least 20 calories per pound of bodyweight. If you&apos;re eating all those calories in high volumes of veggies, fruits, egg whites and cooked oatmeal, you&apos;re going to struggle. This isn&apos;t to say these foods aren&apos;t healthy choices, they&apos;re just not ideal for the hardgainer. Choose calorie-dense picks like pureed vegetables, dried fruit, whole eggs, raw oatmeal and steak. Hardgainers don&apos;t usually have the recovery abilities that other gym-rats do. If you aren&apos;t sleeping enough each night, it&apos;s going to dramatically impact your progress. Aim for at least eight hours of sleep; get nine if you can. Hitting the gym before you&apos;re recovered will just further break down your body - not what you want. Rest, recover, sleep and grow! Liquid calories won&apos;t fill you up nearly as much as solid calories will, making it far easier for you to reach your daily totals. In addition to your pre- and post-workout protein shakes, make an effort to drink AT LEAST one more shake per day. Include as many calorie-dense ingredients in this shake as possible: natural nut butters, ground flaxseed, coconut oil, ground or raw oats, milk powder, frozen fruit, Greek yogurt and/or cottage cheese. If you have a really hard time hitting your calorie totals, pick up a weight gainer. Do away with those isolation exercises that you love so much. I hate to burst your bubble, but knocking out ten sets of triceps exercises won&apos;t help you build big arms in a hurry. 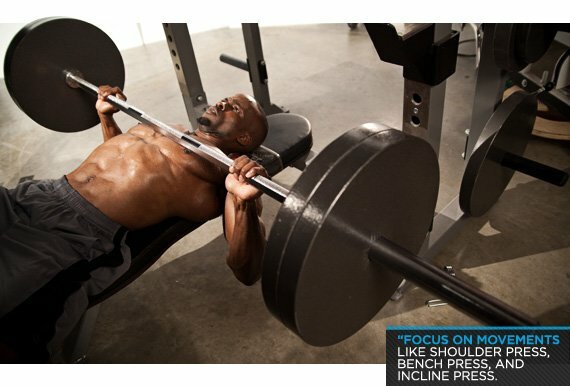 Instead of triceps extensions and bicep curls, focus on movements like shoulder press, bench press, and incline press. These lifts will target large muscle groups along with the smaller arm muscles. 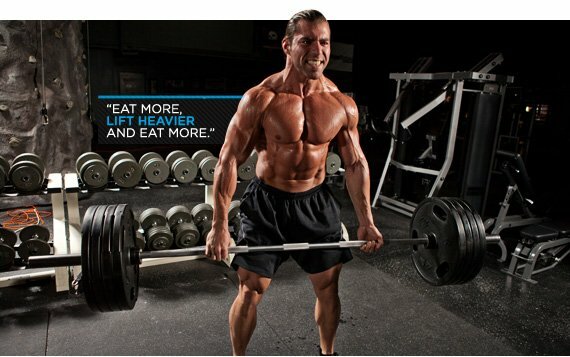 For a hardgainer, less volume is usually better. Set heavy weight goals and leave out the extra fluff. Focus on the compound moves for maximum mass. You&apos;ve likely heard that hardgainers should eliminate cardio entirely. While there is some logic to this argument, it&apos;s not entirely true. When done correctly, there is a place for cardio in a hardgainer&apos;s program. Plus you never want to ignore your most important muscle: your heart. Big muscles don&apos;t stay big long in a coffin. You want to put on size and stay healthy. For optimal results, keep cardio to low or moderate intensity for 20-to-30 minutes. Two or three cardio sessions per week will keep your heart healthy, improve nutrient delivery to muscle cells and may even boost your recovery time. Since your primary focus needs to be on lifting heavy, keep your rep range low, like 6-to-10. Because you&apos;re cutting isolation movements anyway, you won&apos;t need to spend 10-to-15 reps on your triceps. Lift big, lift heavy. Because you&apos;re lifting such heavy weight, extend your rest periods to regain maximum strength. If you&apos;re used to 30 seconds of rest, I&apos;ve got news for you - longer rest means more strength per set, which leads to weight, more reps at that weight, better total growth. Try for two-to-three minutes between sets. If you force yourself perform another set before you&apos;re recovered, you won&apos;t see optimal progress. Allow the body the time it needs to recover. If you&apos;re a hardgainer and have a fear of healthy fats, you&apos;re headed for trouble. Healthy fats are the hardgainer&apos;s best friend because they&apos;re calorie dense and loaded with muscle-building benefits. Don&apos;t sacrifice your carbohydrate consumption for fats; both need to be included in your hardgainer diet plan. Load up on carbs after a workout! After training, your body is in prime muscle-building and repair mode, so give your body the nutrients it needs to replenish glycogen and spur recovery. Post-workout, you should choose simple carbs like dextrose, maltodextrin, waxy maize or Vitargo. If you normally skip carbs post-workout, this should be your first tweak. The results you experience will be almost immediate - fuller muscles, faster recovery, and increased strength. 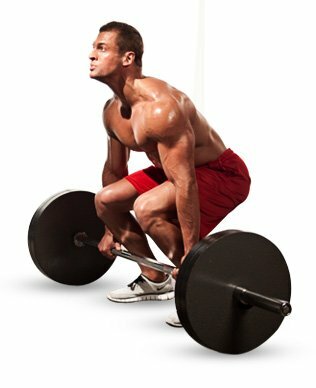 Building muscle takes time, hardgainer or otherwise. It takes patience, consistency and hard work. You play the iron game for life. If you&apos;re stuck in the mud after a few months of training, eat more, lift heavier and eat more. Don&apos;t give up. Increase your calorie intake, increase your training intensity and increase your gains.